Mr.SIP currently comprises of four sub-modules named SIP-NES, SIP-ENUM, SIP-DAS and SIP-ASP. 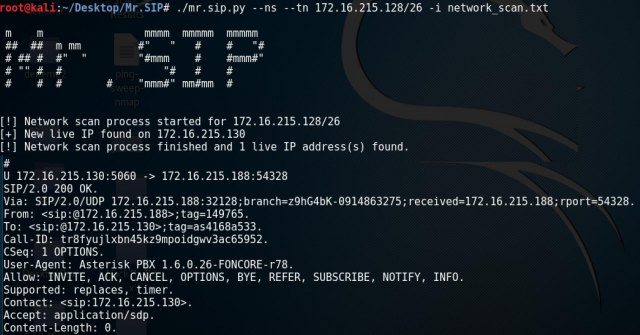 Read the rest of Mr.SIP – SIP Attack And Audit Tool now! Only available at Darknet. Starting today, AWS Shield Advanced can help protect your Amazon EC2 instances and Network Load Balancers against infrastructure-layer Distributed Denial of Service (DDoS) attacks. 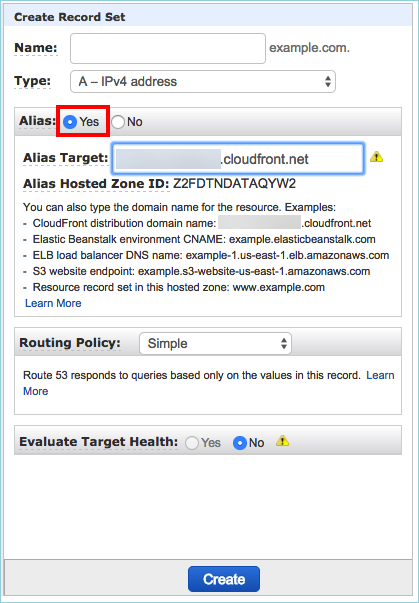 Enable AWS Shield Advanced on an AWS Elastic IP address and attach the address to an internet-facing EC2 instance or Network Load Balancer. AWS Shield Advanced automatically detects the type of AWS resource behind the Elastic IP address and mitigates DDoS attacks. 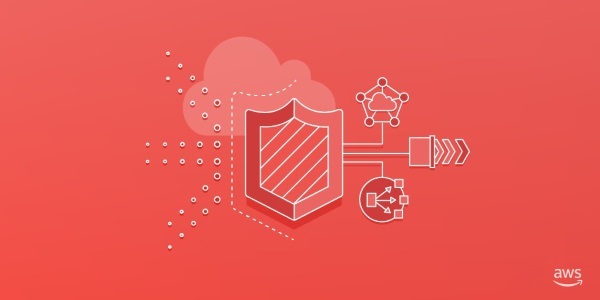 AWS Shield Advanced also ensures that all your Amazon VPC network access control lists (ACLs) are automatically executed on AWS Shield at the edge of the AWS network, giving you access to additional bandwidth and scrubbing capacity as well as mitigating large volumetric DDoS attacks. You also can customize additional mitigations on AWS Shield by engaging the AWS DDoS Response Team, which can preconfigure the mitigations or respond to incidents as they happen. For every incident detected by AWS Shield Advanced, you also get near-real-time visibility via Amazon CloudWatch metrics and details about the incident, such as the geographic origin and source IP address of the attack. AWS Shield Advanced for Elastic IP addresses extends the coverage of DDoS cost protection, which safeguards against scaling charges as a result of a DDoS attack. DDoS cost protection now allows you to request service credits for Elastic Load Balancing, Amazon CloudFront, Amazon Route 53, and your EC2 instance hours in the event that these increase as the result of a DDoS attack. Activate AWS Shield Advanced by choosing Activate AWS Shield Advanced and accepting the terms. Navigate to Protected Resources through the navigation pane. 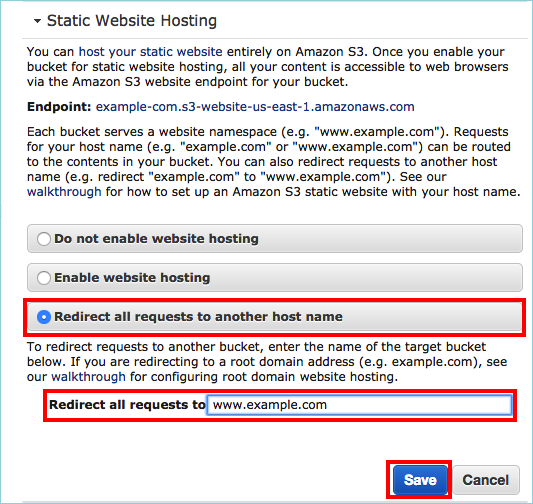 Choose the Elastic IP addresses that you want to protect (these can point to EC2 instances or Network Load Balancers). If AWS Shield Advanced detects a DDoS attack, you can get details about the attack by checking CloudWatch, or the Incidents tab on the AWS WAF and AWS Shield console. To learn more about this new feature and AWS Shield Advanced, see the AWS Shield home page. If you have comments or questions about this post, submit them in the “Comments” section below, start a new thread in the AWS Shield forum, or contact AWS Support. Now that you can reserve seating in AWS re:Invent 2017 breakout sessions, workshops, chalk talks, and other events, the time is right to review the list of introductory, advanced, and expert content being offered this year. To learn more about breakout content types and levels, see Breakout Content. For Vanguard, managing the creation of AWS Identity and Access Management (IAM) objects is key to balancing developer velocity and compliance. In this session, you learn how Vanguard designs IAM roles to control the blast radius of AWS resources and maintain simplicity for developers. Vanguard will also share best practices to help you manage governance and improve your visibility across your AWS resources. Traditional solutions for using Microsoft Active Directory across on-premises and AWS Cloud Windows workloads can require complex networking or syncing identities across multiple systems. AWS Directory Service for Microsoft Active Directory, also known as AWS Managed AD, offers you actual Microsoft Active Directory in the AWS Cloud as a managed service. In this session, you will learn how Capital One uses AWS Managed AD to provide highly available authentication and authorization services for its Windows workloads, such as Amazon RDS for SQL Server. When you use the cloud to enable speed and agility, how do you know if you’ve done it correctly? We are on a mission to help builders follow industry best practices within security guardrails by creating the largest compliance-as-code repository, available to all. Compliance-as-code is the idea to translate best practices, guardrails, policies, and standards into codified unit testing. Apply this to your AWS environment to provide insights about what can or must be improved. Learn why compliance-as-code matters to gain speed (by getting developers, architects, and security pros on the same page), how it is currently used (demo), and how to start using it or being part of building it. To help prevent unexpected access to your AWS resources, it is critical to maintain strong identity and access policies and track, detect, and react to changes. In this session, you will learn how to use AWS Identity and Access Management (IAM) to control access to AWS resources and integrate your existing authentication system with IAM. We will cover how to deploy and control AWS infrastructure using code templates, including change management policies with AWS CloudFormation. Like many security teams, Riot has been challenged by new paradigms that came with the move to the cloud. We discuss how our security team has developed a security culture based on feedback and self-service to best thrive in the cloud. We detail how the team assessed the security gaps and challenges in our move to AWS, and then describe how the team works within Riot’s unique feedback culture. AWS services are designed to enable control through AWS Identity and Access Management (IAM) and Amazon Virtual Private Cloud (VPC). Join us in this chalk talk to learn how to apply these toward the security principal of least privilege for applications and data and how to practically integrate them in your security operations. AWS customers start off with one AWS account, but quickly realize the benefits of having multiple AWS accounts. A common learning curve for customers is how to securely baseline and set up new accounts at scale. This talk helps you understand how to use AWS Organizations, AWS Identity and Access Management (IAM), AWS CloudFormation, and other tools to baseline new accounts, set them up for federation, and make a secure and repeatable account factory to create new AWS accounts. Walk away with demos and tools to use in your own environment. Making sense of the risks of IT deployments that sit in hybrid environments and span multiple countries is a major challenge. When you add in multiple toolsets and global compliance requirements, including GDPR, it can get overwhelming. Listen to Vonage’s Chief Information Security Officer, Johan Hybinette, share his experiences tackling these challenges. CTP’s Robert Christiansen and Mike Kavis describe how to maximize the value of your AWS initiative. From building a Minimum Viable Cloud to establishing a cloud robust security and compliance posture, we walk through key client success stories and lessons learned. We also explore how CTP has helped Vanguard, the leading provider of investor communications and technology, take advantage of AWS to delight customers, drive new revenue streams, and transform their business. Cloud migration in highly regulated industries can stall without a solid understanding of how (and when) to address regulatory expectations. This session provides a guide to explaining the aspects of AWS services that are most frequently the subject of an internal or regulatory audit. Because regulatory agencies and internal auditors might not share a common understanding of the cloud, this session is designed to help you to help them, regardless of their level of technical fluency. Executives from the Intelligence community discuss cloud security best practices in a field where security is imperative to operations. CIA security cloud chief John Nicely and NGA security cloud chief Scot Kaplan share success stories of migrating mass data to the cloud from a security perspective. Hear how they migrated their IT portfolios while managing their organizations’ unique blend of constraints, budget issues, politics, culture, and security pressures. Learn how these institutions overcame barriers to migration, and ask these panelists what actions you can take to better prepare yourself for the journey of mass migration to the cloud. In this session, you learn how to adapt application defenses and operational responses based on your unique requirements. You also hear directly from customers about how they architected their applications on AWS to protect their applications. There are many ways to build secure, high-availability applications in the cloud. Services such as Amazon API Gateway, Amazon VPC, ALB, ELB, and Amazon EC2 are the basic building blocks that enable you to address a wide range of use cases. Best practices for defending your applications against Distributed Denial of Service (DDoS) attacks, exploitation attempts, and bad bots can vary with your choices in architecture. 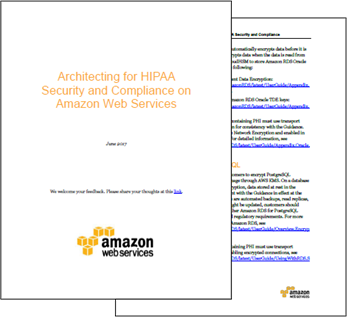 Operating a security practice on AWS brings many new challenges that haven’t been faced in data center environments. The dynamic nature of infrastructure, the relationship between development team members and their applications, and the architecture paradigms have all changed as a result of building software on top of AWS. In this session, learn how your security team can leverage AWS Lambda as a tool to monitor, audit, and enforce your security policies within an AWS environment. Adversaries automate. Who says the good guys can’t as well? By combining AWS offerings like AWS CloudTrail, Amazon Cloudwatch, AWS Config, and AWS Lambda with the power of Amazon Alexa, you can do more security tasks faster, with fewer resources. Force multiplying your security team is all about automation! Last year, we showed off penetration testing at the push of an (AWS IoT) button, and surprise-previewed how to ask Alexa to run Inspector as-needed. Want to see other ways to ask Alexa to be your cloud security sidekick? We have crazy new demos at the ready to show security geeks how to sling security automation solutions for their AWS environments (and impress and help your boss, too). Every journey to the AWS Cloud is unique. Some customers are migrating existing applications, while others are building new applications using cloud-native services. Along each of these journeys, identity and access management helps customers protect their applications and resources. In this session, you will learn how AWS’s identity services provide you a secure, flexible, and easy solution for managing identities and access on the AWS Cloud. With AWS’’s Identity Services, you do not have to adapt to AWS. Instead, you have a choice of services designed to meet you anywhere along your journey to the AWS Cloud. Every journey to the AWS Cloud is unique. Some customers are migrating existing applications, while others are building new applications using cloud-native services. This talk dives deep on how to build end-to-end security capabilities using AWS. Our goal is orchestrating AWS Security services with other AWS building blocks to deliver enhanced security. We cover working with AWS CloudWatch Events as a queueing mechanism for processing security events, using Amazon DynamoDB to provide a stateful layer to provide tailored response to events and other ancillary functions, using DynamoDB as an attack signature engine, and the use of analytics to derive tailored signatures for detection with AWS Lambda. The CrowdStrike motto is “We Stop Breaches.” To do that, it needed to build a real-time security monitoring service to detect threats. Join this session to learn how Crowdstrike uses Amazon EC2 and Amazon EBS to help its customers identify vulnerabilities before they become large-scale problems. As Chick-fil-A became a cloud-first organization, their security team didn’t want to become the bottleneck for agility. But the security team also wanted to raise the bar for their security posture on AWS. Robert Davis, security architect at Chick-fil-A, provides an overview about how he and his team recognized that writing code was the best way for their security policies to scale across the many AWS accounts that Chick-fil-A operates. For security practitioners, serverless represents a context switch from the familiar servers and networks to a decentralized set of code snippets and AWS platform constructs. This new ecosystem also represents new operational teams, data flows, security tooling, and faster-then-ever change velocity. In this talk, we perform live demos and provide code samples for a wide array of security best practices aligned to industry standards such as NIST 800-53 and ISO 27001. We will explore a multi-account architecture and how to approach the design/thought process around it. This chalk talk will allow attendees to dive deep into the topic and discuss the nuances of the architecture as well as provide feedback around the approach. SID309 – Credentials, Credentials, Credentials, Oh My! For new and experienced customers alike, understanding the various credential forms and exchange mechanisms within AWS can be a daunting exercise. In this chalk talk, we clear up the confusion by performing a cartography exercise. We visually depict the right source credentials (for example, enterprise user name and password, IAM keys, AWS STS tokens, and so on) and transformation mechanisms (for example, AssumeRole and so on) to use depending on what you’re trying to do and where you’re coming from. What do you do when leadership embraces what was called “shadow IT” as the new path forward? How do you onboard new accounts while simultaneously pushing policy to secure all existing accounts? This session walks through Cisco’s journey consolidating over 700 existing accounts in the Cisco organization, while building and applying Cisco’s new cloud policies. When organizations plan their journey to cloud adoption at scale, they quickly encounter questions such as: How many accounts do we need? How do we share resources? How do we integrate with existing identity solutions? In this workshop, we present best practices and give you the hands-on opportunity to test and develop best practices. You will work in teams to set up and create an AWS environment that is enterprise-ready for application deployment and integration into existing operations, security, and procurement processes. You will get hands-on experience with cross-account roles, consolidated logging, account governance and other challenges to solve. In this Capture the Flag workshop, we divide groups into teams and work on AWS CloudFormation DevSecOps. The AWS Red Team supplies an AWS DevSecOps Policy that needs to be enforced via CloudFormation static analysis. Participant Blue Teams are provided with an AWS Lambda-based reference architecture to be used to inspect CloudFormation templates against that policy. Interesting items need to be logged, and made visible via ChatOps. Dangerous items need to be logged, and recorded accurately as a template fail. The secondary challenge is building a CloudFormation template to thwart the controls being created by the other Blue teams. In cloud migrations, the cloud’s elastic nature is often touted as a critical capability in delivering on key business initiatives. However, you must account for it in your security and compliance plans or face some real challenges. 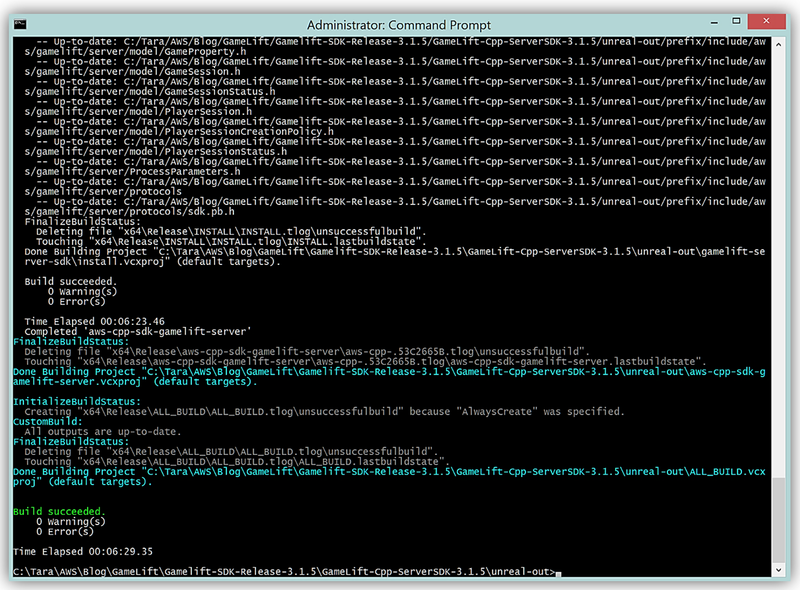 Always counting on a virtual host to be running, for example, causes issues when that host is rebooted or retired. Managing security and compliance in the cloud is continuous, requiring forethought and automation. Learn how a leading, next generation managed cloud provider uses automation and cloud expertise to manage security and compliance at scale in an ever-changing environment. Are you interested in learning how to control access to your AWS resources? Have you wondered how to best scope permissions to achieve least-privilege permissions access control? If your answer is “yes,” this session is for you. We look at the AWS Identity and Access Management (IAM) policy language, starting with the basics of the policy language and how to create and attach policies to IAM users, groups, and roles. We explore policy variables, conditions, and tools to help you author least privilege policies. We cover common use cases, such as granting a user secure access to an Amazon S3 bucket or to launch an Amazon EC2 instance of a specific type. In this session, you learn pragmatic steps to integrate security controls into DevOps processes in your AWS environment at scale. Cybersecurity expert and founder of Alert Logic Misha Govshteyn shares insights from high performing teams who are embracing the reality that an agile security program can enable faster and more secure workload deployments. Joining Misha is Joey Peloquin, Director of Cloud Security Operations at Citrix, who discusses Citrix’s DevOps experiences and how they manage their cybersecurity posture within the AWS Cloud. Session sponsored by Alert Logic. AWS provides a killer feature for security operations teams: Access Advisor. In this session, we discuss how Access Advisor shows the services to which an IAM policy grants access and provides a timestamp for the last time that the role authenticated against that service. At Netflix, we use this valuable data to automatically remove permissions that are no longer used. By continually removing excess permissions, we can achieve a balance of empowering developers and maintaining a best-practice, secure environment. Infrastructure-as-Code (IaC) has emerged as an essential element of organizational DevOps practices. Tools such as AWS CloudFormation and Terraform allow software-defined infrastructure to be deployed quickly and repeatably to AWS. But the agility of CI/CD pipelines also creates new challenges in infrastructure security hardening. This session provides a foundation for how to bring proven software hardening practices into the world of infrastructure deployment. We discuss how to build security and compliance tests for infrastructure analogous to unit tests for application code, and showcase how security, compliance and governance testing fit in a modern CI/CD pipeline. A surprising trend is starting to emerge among organizations who are progressing through the cloud maturity lifecycle: major improvements in revenue growth, customer satisfaction, and mission success are being directly attributed to improvements in security and compliance. At one time thought of as speed bumps in the path to deployment, security and compliance are now seen as critical ingredients that help organizations differentiate their offerings in the market, win more deals, and achieve mission-critical goals faster. This session explores how organizations like Jive Software and the National Geospatial Agency use the Evident Security Platform, AWS, and AWS Quick Starts to automate security and compliance processes in their organization to accomplish more, do it faster, and deliver better results. In this session, we walk you through a hypothetical incident response managed on AWS. Learn how to apply existing best practices as well as how to leverage the unique security visibility, control, and automation that AWS provides. We cover how to set up your AWS environment to prevent a security event and how to build a cloud-specific incident response plan so that your organization is prepared before a security event occurs. This session also covers specific environment recovery steps available on AWS. Fighting fraud means countering human actors that quickly adapt to whatever you do to stop them. In this presentation, we discuss the key components of a fraud prevention program in the cloud. Additionally, we provide techniques for detecting known and unknown fraud activity and explore different strategies for effectively preventing detected patterns. Finally, we discuss lessons learned from our own prevention activities as well as the best practices that you can apply to manage risk. In this session, we review best practices for managing multiple AWS accounts using AWS Organizations. We cover how to think about the master account and your account strategy, as well as how to roll out changes. You learn how Capital One applies these best practices to manage its AWS accounts, which number over 160, and PCI workloads. AWS distinguished engineer Eric Brandwine speaks with hundreds of customers each year, and noticed one question coming up more than any other, “How does AWS operationalize its own security?” In this session, Eric details both strategic and tactical considerations, along with an insider’s look at AWS tooling and processes. If left unmitigated, Distributed Denial of Service (DDoS) attacks have the potential to harm application availability or impair application performance. 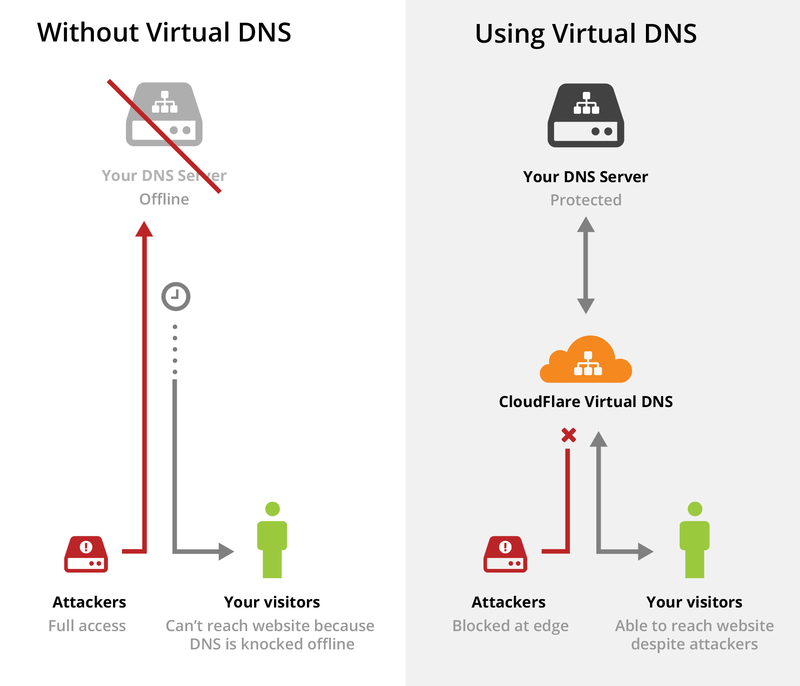 DDoS attacks can also act as a smoke screen for intrusion attempts or as a harbinger for attacks against non-cloud infrastructure. Accordingly, it’s crucial that developers architect for DDoS resiliency and maintain robust operational capabilities that allow for rapid detection and engagement during high-severity events. In this session, you learn how to build a DDoS-resilient application and how to use services like AWS Shield and Amazon CloudWatch to defend against DDoS attacks and automate response to attacks in progress. In this session, Edmunds discusses how they create workflows to manage their regulated workloads with Amazon Macie, a newly-released security and compliance management service that leverages machine learning to classify your sensitive data and business-critical information. 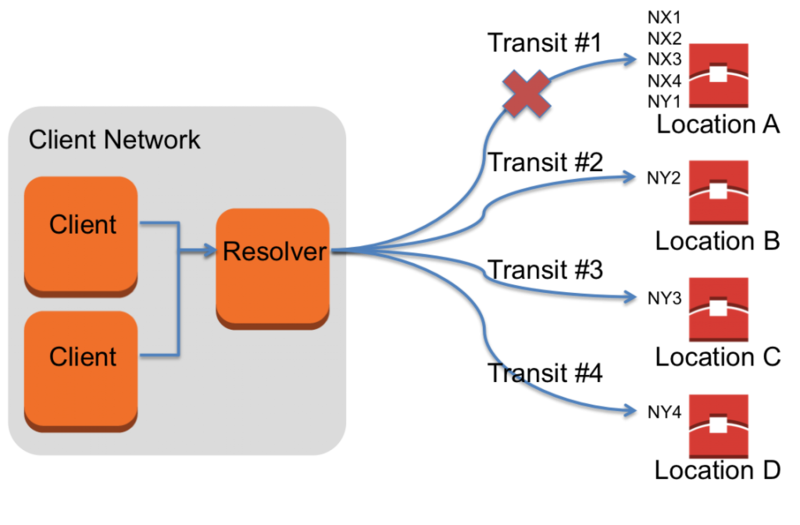 Amazon Macie uses recurrent neural networks (RNN) to identify and alert potential misuse of intellectual property. They do a deep dive into machine learning within the security ecosystem. Steve Schmidt, chief information security officer at AWS, addresses the current state of security in the cloud, with a particular focus on feature updates, the AWS internal “secret sauce,” and what’s on horizon in terms of security, identity, and compliance tooling. Macquarie, a global provider of financial services, identified early on that it would require strong partnership between its business, technology and risk teams to enable the rapid adoption of AWS cloud technologies. As a result, Macquarie built a Cloud Governance Platform to enable its risk functions to move as quickly as its development teams. This platform has been the backbone of Macquarie’s adoption of AWS over the past two years and has enabled Macquarie to accelerate its use of cloud technologies for the benefit of clients across multiple global markets. This talk will outline the strategy that Macquarie embarked on, describe the platform they built, and provide examples of other organizations who are on a similar journey. AWS Encryption Services provide an easy and cost-effective way to protect your data in AWS. In this session, you learn about leveraging the latest encryption management features to minimize risk for your data. 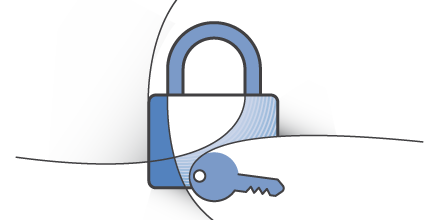 AWS Key Management Service (KMS) is a managed service that makes it easy for you to create and manage the encryption keys used to encrypt your data. In this session, we will dive deep into best practices learned by implementing AWS KMS at AWS’s largest enterprise clients. We will review the different capabilities described in the AWS Cloud Adoption Framework (CAF) Security Perspective and how to implement these recommendations using AWS KMS. In addition to sharing recommendations, we will also provide examples that will help you protect sensitive information on the AWS Cloud. Whether it is per business unit or per application, many AWS customers use multiple accounts to meet their infrastructure isolation, separation of duties, and billing requirements. In this session, we discuss considerations, limitations, and security patterns when building out a multi-account strategy. We explore topics such as identity federation, cross-account roles, consolidated logging, and account governance. Thomson Reuters shared their journey and their approach to a multi-account strategy. At the end of the session, we present an enterprise-ready, multi-account architecture that you can start leveraging today. Learn how to set up an end-user directory, secure sign-up and sign-in, manage user profiles, authenticate and authorize your APIs, federate from enterprise and social identity providers, and use OAuth to integrate with your app—all without any server setup or code. With clear blueprints, we show you how to leverage Amazon Cognito to administer and secure your end users and enable identity for the applied patterns of mobile, web, and enterprise apps. Learn how Autodesk implemented security at scale, moved to native AWS security products and features, as well as attained SOC certification. Join the Amazon Business team to learn how it uses Amazon Cloud Directory as the data store for its account management platform. You will learn how Amazon Business uses Amazon DynamoDB with Cloud Directory to manage user authorization and business process workflows. You also will learn how Cloud Directory helps to manage hierarchical datasets and how to get started modeling these datasets in Cloud Directory. As existing or new organizations expand their AWS footprint, managing multiple accounts while maintaining security quickly becomes a challenge. In this chalk talk, we will demonstrate how AWS Organizations, IAM roles, identity federation, and cross-account manager can be combined to build a scalable multi-account management platform. By the end of this session, attendees will have the understanding and deployment patterns to bring a secure, flexible and automated multi-account management platform to their organizations. The General Data Protection Regulation (GDPR) is considered to be the most stringent privacy regulation ever enacted. Complying with GDPR could be a challenge for organizations, and AWS services can help get you ahead of the May 2018 enforcement deadline. In this chalk talk, the Legal and Compliance GDPR leadership at AWS discusses what enforcement of GDPR might mean for you and your customer’s compliance programs. In this chalk talk, we discuss why using temporary security credentials to manage access to your AWS resources is an AWS Identity and Access Management (IAM) best practice. IAM roles help you follow this best practice by delivering and rotating temporary credentials automatically. We discuss the different types of IAM roles, the assume role functionality, and how to author fine-grained trust and access policies that limit the scope of IAM roles. We then show you how to attach IAM roles to your AWS resources, such as Amazon EC2 instances and AWS Lambda functions. We also discuss migrating applications that use long-term AWS access keys to temporary credentials managed by IAM roles. Once a customer achieves success with using AWS in a few pilot projects, most look to rapidly adopt an “all-in” enterprise migration strategy. Along this journey, several new challenges emerge that quickly become blockers and slow down migrations if they are not addressed properly. At this scale, customers will deal with the governance of hundreds of accounts, as well as thousands of IT resources residing within those accounts. Humans and traditional IT management processes cannot scale at the same pace and inevitably challenging questions emerge. In this session, we discuss those questions about governance at scale. Organizations building applications that handle confidential or sensitive data are subject to many types of regulatory requirements and often rely on hardware security modules (HSMs) to provide validated control of encryption keys and cryptographic operations. AWS CloudHSM is a cloud-based hardware security module (HSM) that enables you to easily generate and use your own encryption keys on the AWS Cloud using FIPS 140-2 Level 3 validated HSMs. This chalk talk will provide you a deep-dive on CloudHSM, and demonstrate how you can quickly and easily use CloudHSM to help secure your data and meet your compliance requirements. A proactive approach to security is key to securing your applications as part of software deployment. In this chalk talk, T. Rowe Price, a financial asset management institution, outlines how they built their security automation process in enabling their numerous developer teams to rapidly and securely build and deploy applications at scale on AWS. Learn how they use services like AWS Identity and Access Management (IAM), HashiCorp tools, Terraform for automation, and Vault for secrets management, and incorporate certificate management and monitoring as part of the deployment process. T. Rowe Price discusses lessons learned and best practices to move from a tightly controlled legacy environment to an agile, automated software development process on AWS. This workshop gives you an opportunity to develop a solution that can continuously monitor for and detect a realistic threat by analyzing AWS CloudTrail log data. 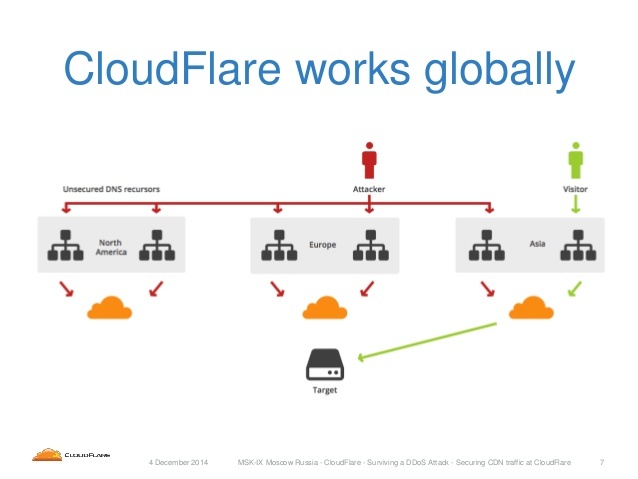 Participants are provided with a CloudTrail data source and some clues to get started. 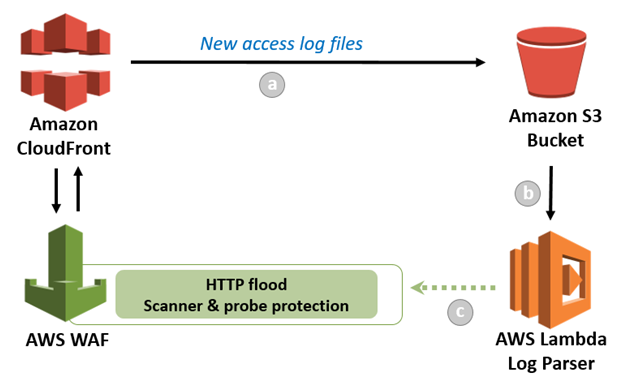 Then you have to design a system that can process the logs, detect the threat, and trigger an alarm. You can make use of any AWS services that can assist in this endeavor, such as AWS Lambda for serverless detection logic, Amazon CloudWatch or Amazon SNS for alarming and notification, Amazon S3 for data and configuration storage, and more. As attacks and attempts to exploit vulnerabilities in web applications become more sophisticated, having an effective web request filtering solution becomes key to keeping your users’ data safe. In this workshop, discover how the OWASP Top 10 list of application security risks can help you secure your web applications. 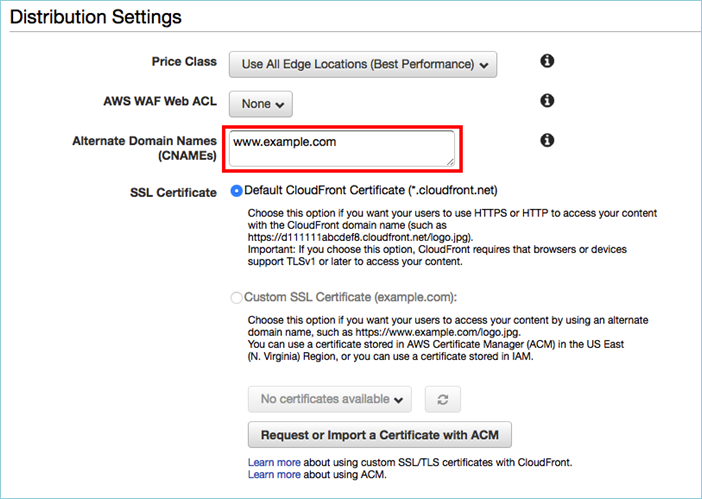 Learn how to use AWS services, such as AWS WAF, to mitigate vulnerabilities. This session includes hands-on labs to help you build a solution. Key learning goals include understanding the breadth and complexity of vulnerabilities customers need to protect from, understanding the AWS tools and capabilities that can help mitigate vulnerabilities, and learning how to configure effective HTTP request filtering rules using AWS WAF. 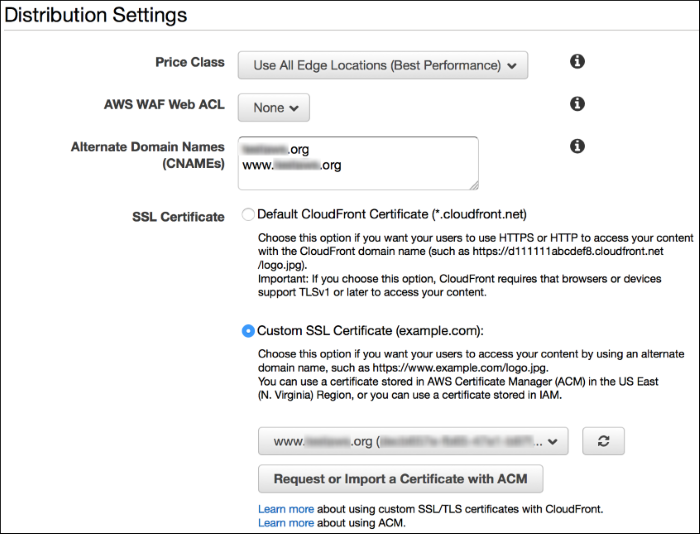 Are you curious about how to authenticate and authorize your applications on AWS? Have you thought about how to integrate AWS Identity and Access Management (IAM) with your app authentication? 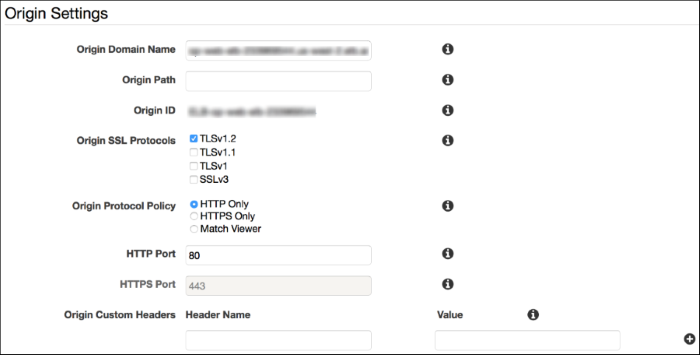 Have you tried to integrate third-party SAML providers with your app authentication? Look no further. This workshop walks you through step by step to configure and create Amazon Cognito user pools and identity pools. This workshop presents you with the framework to build an application using Java, .NET, and serverless. You choose the stack and build the app with local users. See the service being used not only with mobile applications but with other stacks that normally don’t include Amazon Cognito. AWS offers customers multiple solutions for federating identities on the AWS Cloud. In this session, we will embark on a tour of these solutions and the use cases they support. Along the way, we will dive deep with demonstrations and best practices to help you be successful managing identities on the AWS Cloud. We will cover how and when to use Security Assertion Markup Language 2.0 (SAML), OpenID Connect (OIDC), and other AWS native federation mechanisms. You will learn how these solutions enable federated access to the AWS Management Console, APIs, and CLI, AWS Infrastructure and Managed Services, your web and mobile applications running on the AWS Cloud, and much more. You know you want client-side encryption for your service but you don’t know exactly where to start. Join us for a hands-on workshop where we review some of your client-side encryption options and explore implementing client-side encryption using the AWS Encryption SDK. In this session, we cover the basics of client-side encryption, perform encrypt and decrypt operations using AWS KMS and the AWS Encryption SDK, and discuss security and performance considerations when implementing client-side encryption in your service. Beginning with a recap of best practices in CloudFront, AWS WAF, Route 53, and Amazon VPC security, we break into small teams to work together on improving the security of a typical web application. How can we creatively use the services? What additional features would help us? This technically advanced chalk talk requires certification at the solutions architect associate level or greater. This workshop will give participants the opportunity to take a security-focused journey across various AWS services and implement automated controls along the way. You will learn how to apply AWS security controls to services such as Amazon EC2, Amazon S3, AWS Lambda, and Amazon VPC. In short, you will learn how to use the cloud to protect the cloud. We will talk about how to: Adopt a workload-centric approach to your security strategy, Address security issues in a cost-effective manner Automate your security responses to promote maturity and auditability. In order to complete this workshop, attendees will need a laptop with wireless access, an AWS account and an IAM user that has full administrative privileges within their account. AWS credits will be provided as attendees depart the session to cover the cost of running the workshop in their own account. Adopting DevSecOps can be challenging using traditional security tools that are designed for on-premises infrastructure. 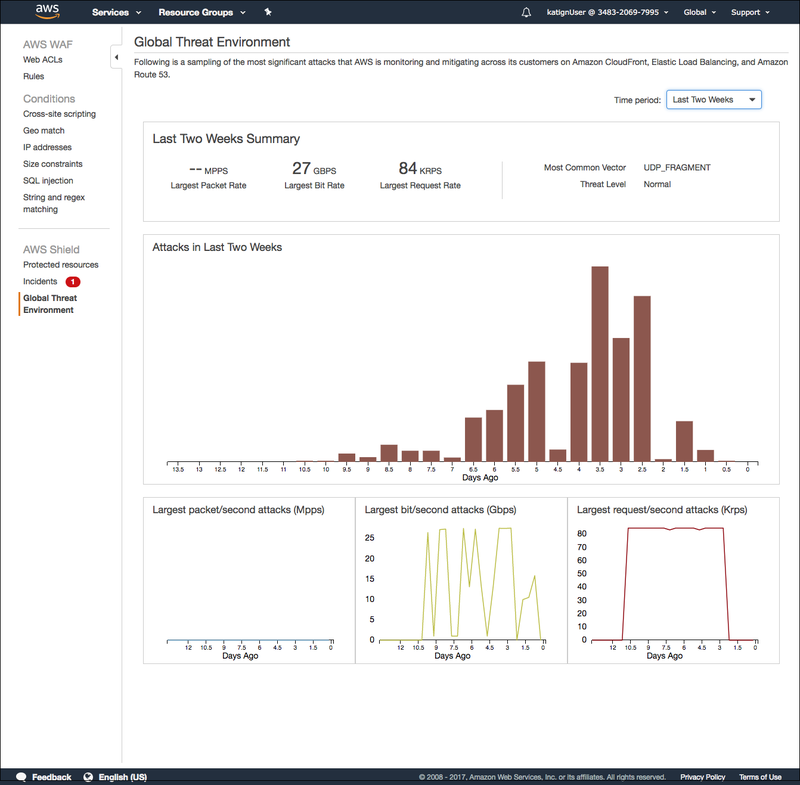 Amazon Inspector is an automated security assessment service that helps you adopt DevSecOps by integrating security assessments directly into the development process of applications running on Amazon EC2. We dive deep on how to use Inspector to automate host security assessments. We show you how to integrate Inspector with other AWS Cloud services to provide automated security assessments throughout your development process. We demo installing the AWS agent, setting up assessment targets and templates, and running assessments. We review the findings and discuss how you can automate the management and remediation of those findings with your available AWS services. This presentation will include a deep dive into the code behind multiple security automation and remediation functions. This session will consider potential use cases, as well as feature a demonstration of a proposed script, and then walk through the code set to explain the various challenges and solutions of the intended script. All examples of code will be previously unreleased and will feature integration with services such as Trusted Advisor and Macie. All code will be released as OSS after re:Invent. Top tier football in the UK is handled by the English Premier League (EPL) and broadcasting partners Sky and BT Sport. All face considerable problems with Internet piracy, through free web or Kodi-based streaming and premium IPTV feeds. To mitigate the threat, earlier this year the Premier League obtained a unique High Court injunction which required ISPs such as Sky, BT, and Virgin to block ‘pirate’ football streams in real-time. Although the success of the program was initially up for debate, the EPL reported it was able to block 5,000 server IP addresses that were streaming its content. When that temporary injunction ran out, the EPL went back to court for a new one, valid for the season that began this past weekend. There are signs the EPL may have upped its game. As soon as the matches began on Saturday, issues were reported at several of the more prominent IPTV providers. Within minutes of the match streams going live, subscribers to affected services were met with black screens, causing anger and frustration. While some clearly knew that action was on the cards, relatively few had an effective plan in place. One provider, which targets subscribers in the UK, scrambled to obtain new domain names, thinking that the existing domains had been placed on some kind of Premier League blacklist. While that may have indeed been the case, making a service more obscure in that sense was never going to outwit the systems deployed by the anti-piracy outfits involved. Indeed, the provider in question was subjected to much chaos over both Saturday and Sunday, since it’s clear that large numbers of subscribers had absolutely no idea what was going on. Even if they understood that the EPL was blocking, the change of domain flat-footed the rest. The subsequent customer service chaos was not a pretty sight but would’ve been a pleasure for the EPL to behold. An interesting side effect of this EPL action is that even if IPTV subscribers don’t care about football, many were affected this past weekend anyway. TF is aware of at least three services (there are probably many more) that couldn’t service their UK customers with any other channels whatsoever while the Premier League games were being aired. 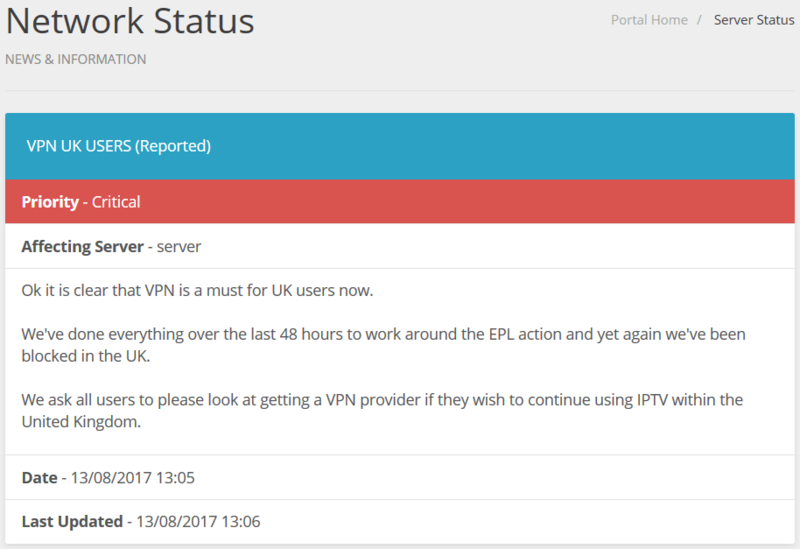 This suggests that the IP addresses hit by the EPL and blocked by local ISPs belonged to the same servers carrying the rest of the content offered by the IPTV providers. 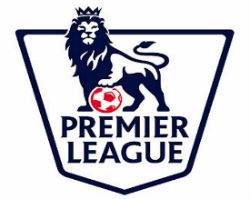 When the High Court handed down its original injunction it accepted that some non-Premier League content could be blocked at the same time but since that “consists almost exclusively of [infringing] commercial broadcast content such as other sports, films, and television programs,” there was little concern over collateral damage. So the big question now is what can IPTV providers and/or subscribers do to tackle the threat? The first interesting thing to note is not all of the big providers were affected this past weekend, so for many customers the matches passed by as normal. It isn’t clear whether EPL simply didn’t have all of the providers on the list or whether steps were taken to mitigate the threat, but that was certainly the case in a handful of cases. Information passed to TF shows that at least a small number of providers were not only waiting for the EPL action but actually had a backup plan in place. This appears to have resulted in a minimum of disruption for their customers, something that will prove of interest to the many frustrated subscribers looking for a new service this morning. While the past few days have been somewhat chaotic, other issues have been muddying the waters somewhat. TF has learned that at least two, maybe three suppliers, were subjected to DDoS attacks around the time the matches were due to air. It seems unlikely that the EPL has been given permission to carry out such an attack but since the High Court injunction is secret in every way that describes its anti-piracy methods, that will remain a suspicion. In the meantime, rival IPTV services remain possible suspects. Also, a major IPTV stream ‘wholesaler’ is reported to have had technical issues on Saturday, which affected its ability to serve lower-tier providers. Whether that was also linked to the Premier League action is unknown and TF couldn’t find any source willing to talk about the provider in any detail. So, sports fans who rely on IPTV for their fix are wondering how things will pan out later this week. If this last weekend is anything to go by, disruption is guaranteed, but it will be less of a surprise given the problems of the last few days. While some don’t foresee huge problems, several providers are already advising customers that VPNs will be necessary. While a VPN will indeed solve the problem in most cases, for many subscribers that will amount to an additional expense, not to mention more time spent learning about VPNs, what they can do, and how they can be setup on the hardware they’re using for IPTV. For users on Android devices running IPTV apps or Kodi-type setups, VPNs are both easy to install and use. However, Mag Box STB users cannot run a VPN directly on the device, meaning that they’ll need either a home router that can run a VPN or a smaller ‘travel’ type router with OpenVPN capabilities to use as a go-between. Either way, costs are beginning to creep up, if IPTV providers can’t deal with the EPL’s blocking efforts. That makes the new cheaper football packages offered by various providers that little bit more attractive. But that was probably the plan all along. Calling all Game Developers! GDC 2017 was a blast in San Francisco a couple of weeks ago, so there is no better time to be inspired and passionate about learning and building cool games. Therefore, I am excited to share that Amazon GameLift is now available for all C++ and C# game engines, including Amazon Lumberyard, Unreal Engine, and Unity, all with enhanced game session matching capabilities. For those of you not familiar with Amazon GameLift, let me introduce this managed service designed to aid game developers in delivering fun and innovative online game experiences. Amazon GameLift is a managed AWS service for hosting dedicated game servers, making it easier for game developers to scale their game capacity and match players into available game sessions. With Amazon GameLift, you can host servers, track game availability, defend game servers from distributed denial of service (DDoS) attacks, and deploy updates without taking your game offline. The Amazon GameLift service powers dedicated game servers for Amazon Game Studios, as well as external game development customers, and is designed to support session-based games with game loops that start and end within a specified time. Multi-engine support: Initially, Amazon GameLift service could only be used with the Amazon Lumberyard game engine. The service is now enhanced to integrate with popular game engines like Unreal Engine, Unity, as well as, custom C# and C++ game engines. 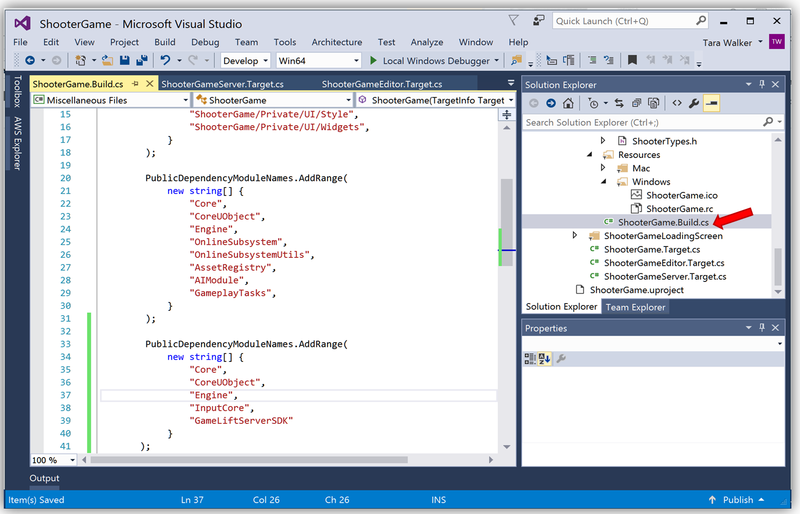 New server SDK language support: In order to support a larger set of customers and developers, the service provides an Amazon GameLift Server SDK available for C# and C++. This includes an Unreal Engine plugin, which is a customized version of the C++ Server SDK that is compatible with the Unreal Engine API for Amazon GameLift. Client SDK language support expansion: The Amazon GameLift Client SDK is bundled with the AWS SDK, which is available in a myriad of different languages. This allows game developers to build game clients with an integration of the Amazon GameLift service in their language of choice. Matchmaking: Amazon GameLift continually scans available game servers around the world and matches them against player requests to join games. If low-latency game servers are not available, you can configure the service to automatically add more capacity near your players. Amazon GameLift maintains a queue of waiting players until new games start or new instances launch, then places waiting players into the lowest latency game. Player data handling: Game developers can now store custom player information and pass it directly to a game server. 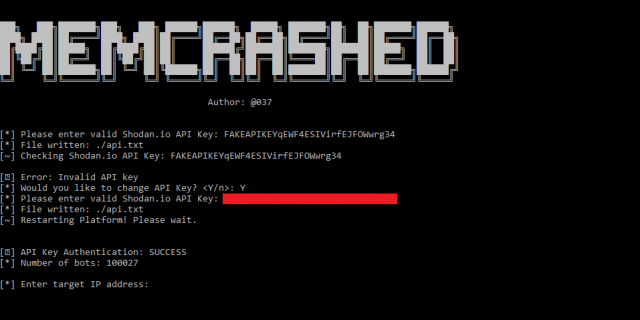 A game server or other game entity with an API call can then retrieve Player data from Amazon GameLift. Console Support: Amazon GameLift supports games developed and architected for XBox One and PS4. 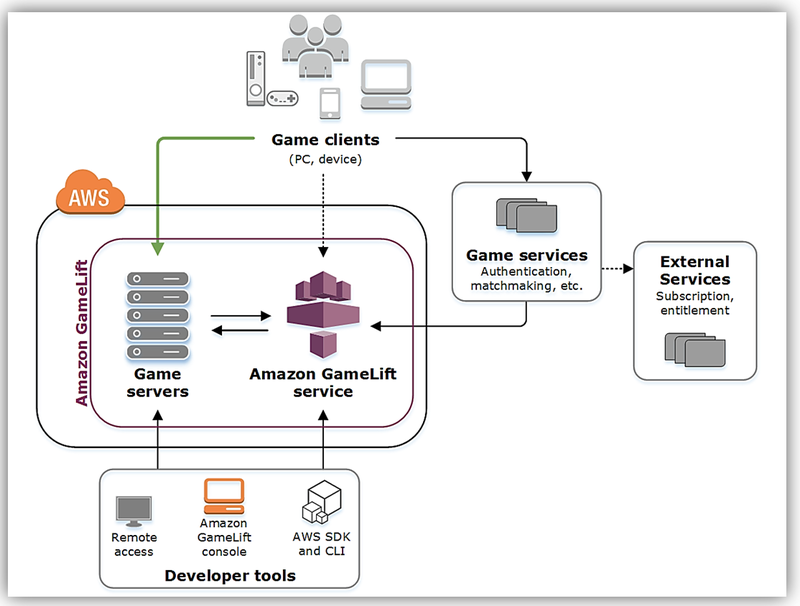 Amazon GameLift does the heavy lifting of tasks once required to create session-based multiplayer games by simplifying the process of deploying, scaling, and maintaining game servers while reducing the time, cost, and risks associated with building the infrastructure from scratch. Prepare your game server for hosting on Amazon GameLift by setting up your game server project with the Amazon GameLift Server SDK and adding communication code to the project. Create and build a fleet of computing resources to host the game. 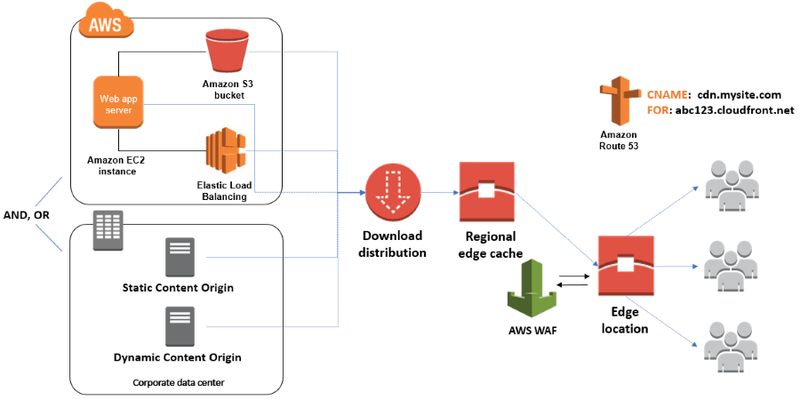 Prepare your game client to connect to game sessions maintained by Amazon GameLift using the AWS SDK with Amazon GameLift APIs and add code to game client for calls to Amazon GameLift service and identifying the player region. Test your Amazon GameLift integration by connecting an Amazon GameLift-hosted game session and verifying game sessions are being created. Let’s get started putting these steps into practice by setting up the Amazon GameLift Server SDK in a simple game server project using the Unreal game engine. We start with Epic’s Unreal game engine. For simplicity, we will create the sample Shooter Game project with online multiplayer functionality built-in, and save it locally on the computer. Now that I have the Multiplayer Shooter Game sample downloaded and open locally on my machine, I will need to be able to manipulate the C++ code to add the Amazon GameLift service to the UE Online Sub-System to manage the online game sessions. 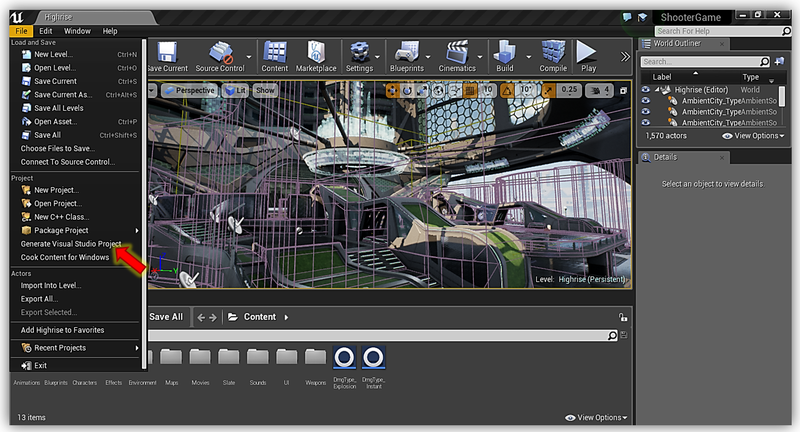 The Shooter Game sample is leveraging the Blueprints Visual Scripting system in Unreal Engine. The Blueprints system is a gameplay scripting system based on node-based interfaces in the UE editor, which enables game designers and content creators to create gameplay elements and functionality within UE editor. Since it is my goal to use the Amazon GameLift C++ SDK to include the Amazon GameLift service in the game and alter the game code, I will need to create Visual Studio project solution to tie in the game and correlate the source code and any binaries from the Shooter Game to the project. To accomplish this I navigate to the context menu and select the File menu option. In the menu dropdown, I find and select the Generate Visual Studio Project Files option. 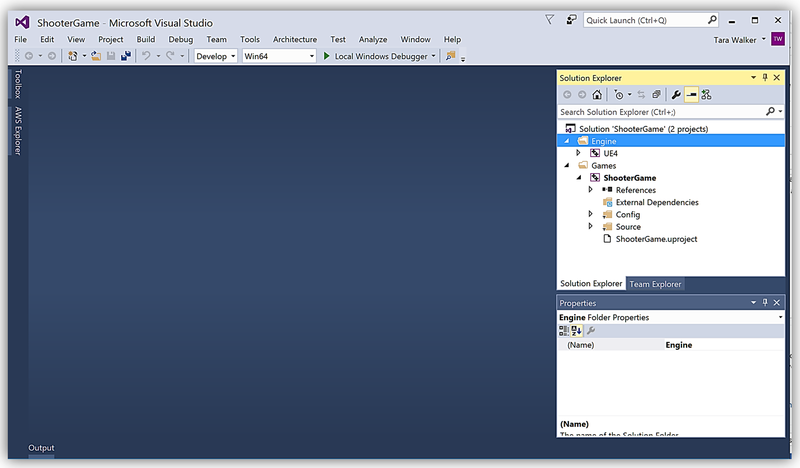 Once the project has generated, I only need to return to the Context menu and select File, then Open with Visual Studio in order to open the project and view the source code. In preparation for adding the Amazon Game Lift service to the Shooter Game as the game service and for game session management, you will need to enable the OnlineSubSystem module in your project. 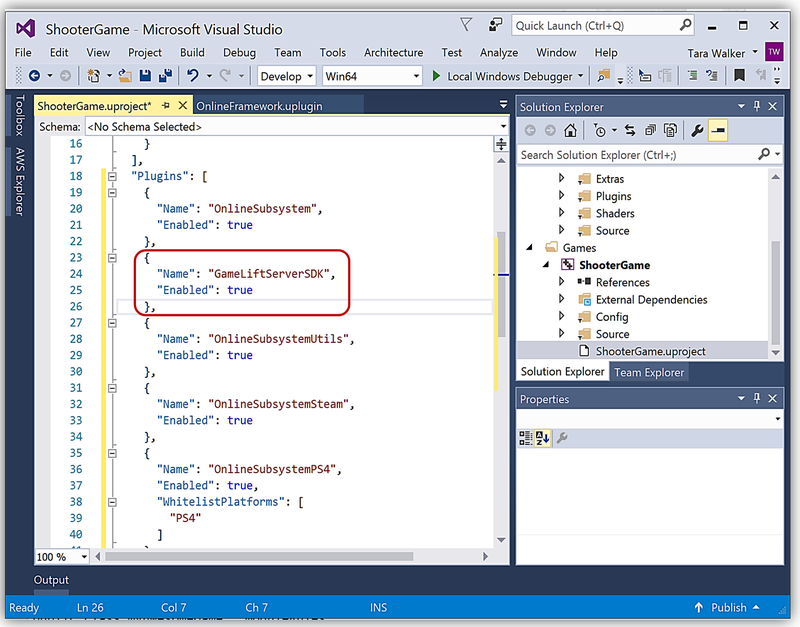 In order to do this, open the game build settings file in the Visual Studio project. Since this game project is named ShooterGame, the build file is named ShooterGame.Build.cs and is located in the Source/ShooterGame folder(s) as shown below. Now that we are set with the Shooter Game project, let’s turn our attention on the Amazon GameLift SDK. I want to leverage the C++ SDK as a plugin for the Unreal Engine, therefore, I need to compile the SDK using the using a compilation directive that builds the binaries for this game engine. With my libraries compiled, I should have the following binary files required to use the Amazon GameLift Unreal Engine plugin. As you can see below, since I am on Windows, my compiled Amazon GameLift libraries, aws-cpp-sdk-gamelift-server.dll and aws-cpp-sdk-gamelift-server.lib, are located in the prefix\bin and prefix\lib folders respectively. After copying the binaries to the GameLiftSDK Unreal Engine plugin folder, my Amazon GameLift plugin folder is configured and ready to be added to an Unreal Engine game project. 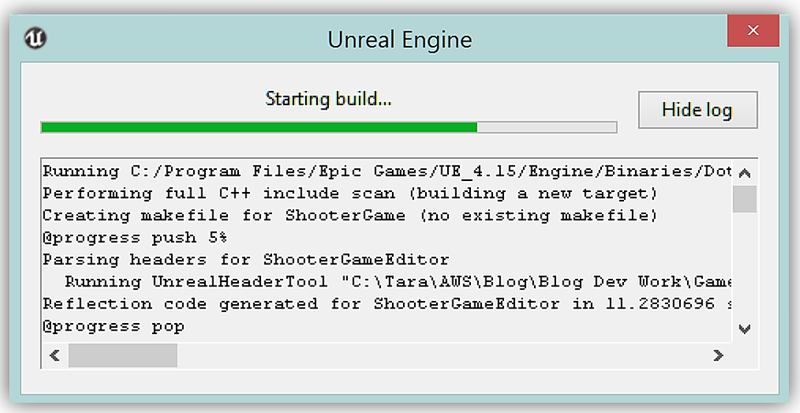 Given this, it is now time to add the Amazon GameLift plugin to the Unreal Engine ShooterGame project. 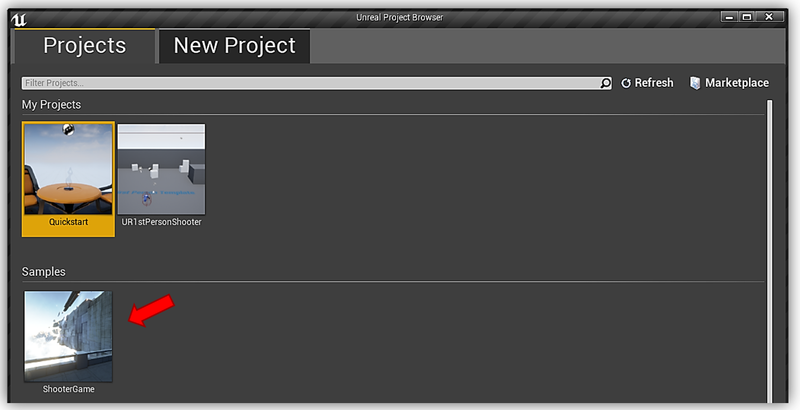 I could use the Unreal Engine Editor to add the plugin, but instead, I will stay in the Visual Studio project and add the plugin by updating the game directory and project file. 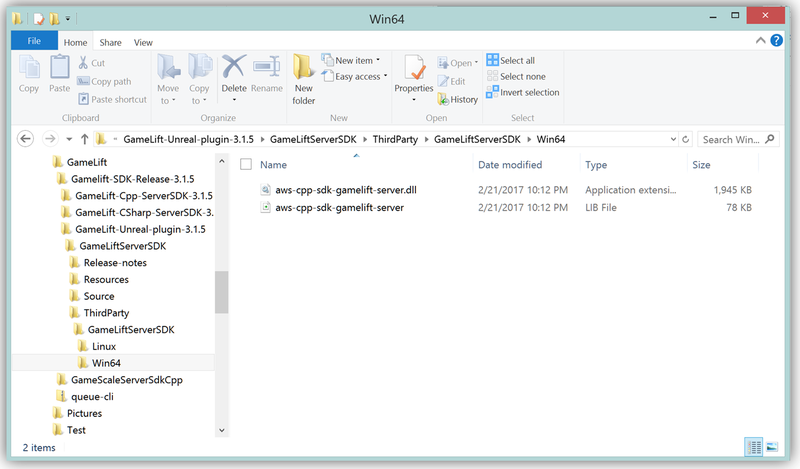 In Windows Explorer, I add a folder called Plugins in the ShooterGame directory and copy my prepared GameLiftServerSDK folder into the directory as noted by the Unreal Engine documentation on plugins. 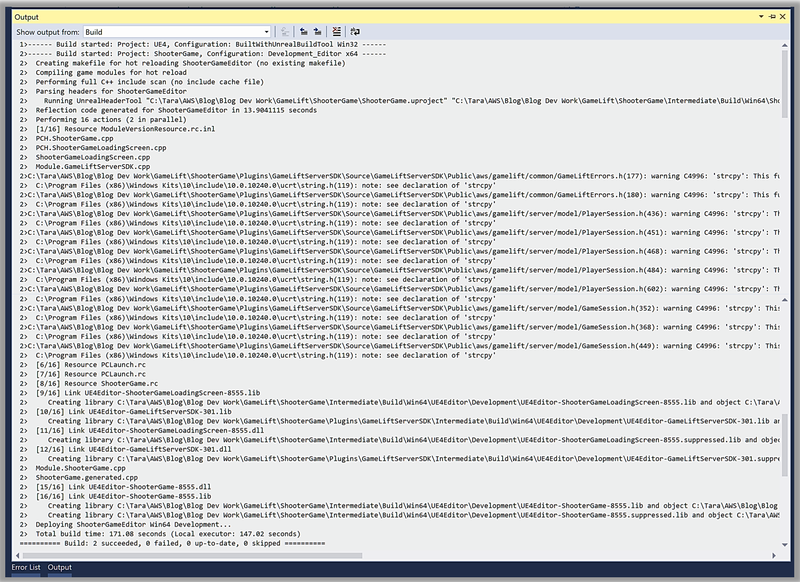 Now I will open up the ShooterGame.Build.cs file, which is a C# file that holds information about game dependencies. Just to ensure all is in sync with the changes made thus far, I close Visual Studio, go back to the UE Editor, and select Refresh Visual Studio Project. 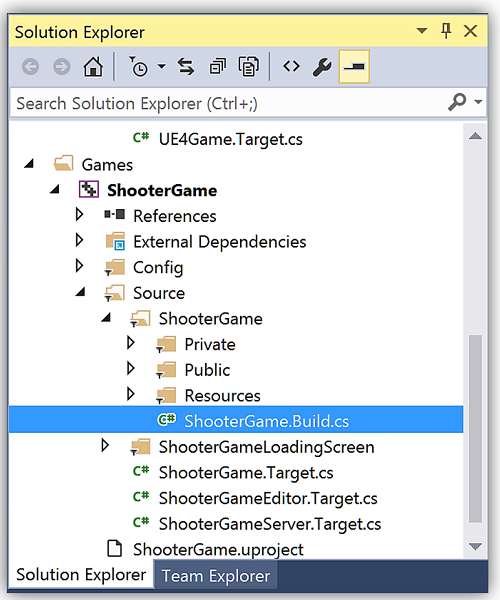 Upon completion, I select Open Visual Studio and the Plugins folder I added in the ShooterGame directory is now included in the project and able to be viewed in Solution Explorer. 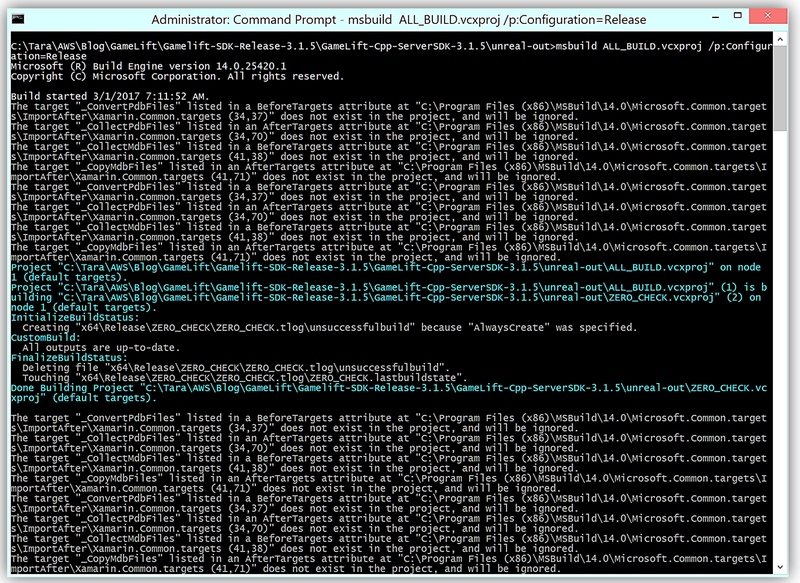 Next, I rebuild my entire solution to get the Amazon GameLift SDK binaries integrated into the project. I’ll go back to the UE Editor and select Build from the toolbar to ensure the aspects of the Amazon GameLift plugin are included in my ShooterGame. Once compilation is complete, a quick visit to the Settings toolbar and Plugins option shows that the Amazon GameLift plugin is added and is recognized in the project. I will select the Enabled checkbox, which will prompt me to restart the UE Editor. 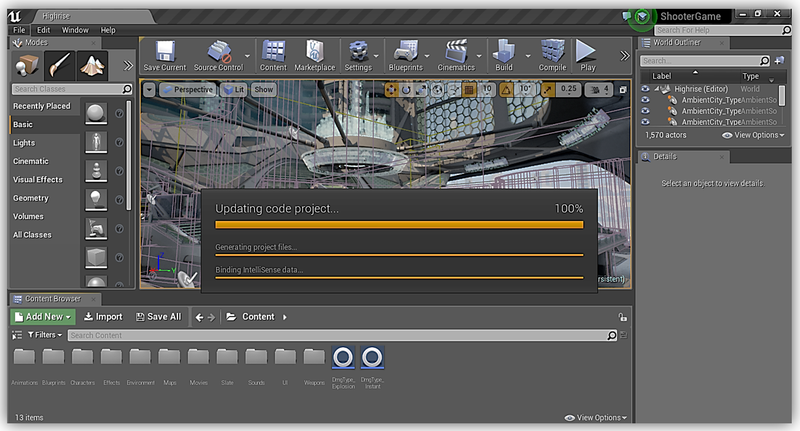 I select Restart Now and allow the Unreal Engine to rebuild the game code files. Upon completion of the build, the editor will restart and reopen my ShooterGame. Now things are set for the use of the Amazon GameLift SDK in the ShooterGame project. You can find an example of the code needed to add Amazon GameLift in your Unreal Engine project in the documentation here. In addition, you can learn how to build a dedicated server for Unreal Engine by following the Dedicated Server Guide for Windows and Linux provided in the Unreal Engine wiki. With these resources in hand, you should be well on your way to integrating Amazon GameLift into a game project. 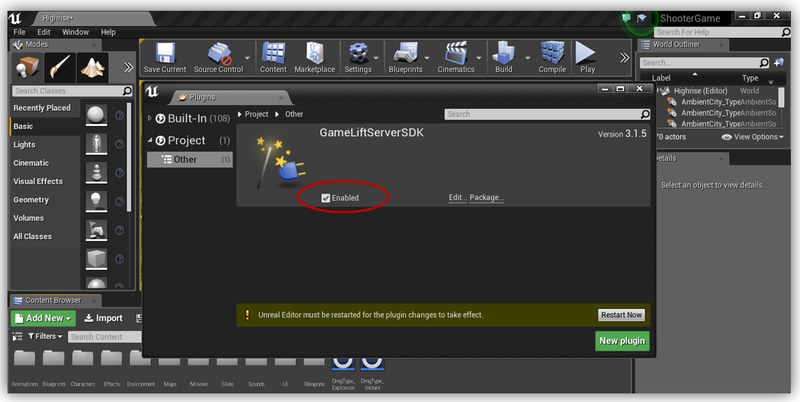 I just did a quick review of incorporating the Amazon GameLift SDK in the Unreal Engine game engine, but don’t forget you have the option to add the Amazon GameLift SDK into C# engines like Unity. 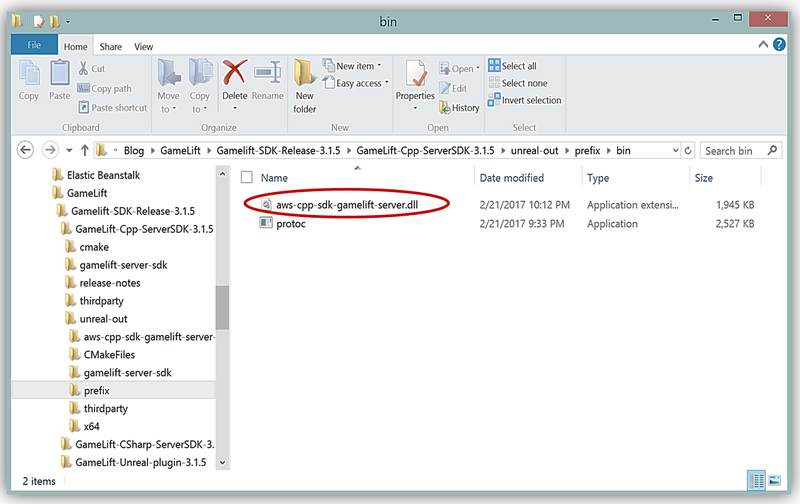 By downloading the Amazon GameLift Server SDK and compiling the .Net framework 3.5 solution, GameLiftServerSDKNet35.sln. The GameLiftServerSDKNet35.sln solution will enable you to add the Amazon GameLift libraries your Unity3D project. 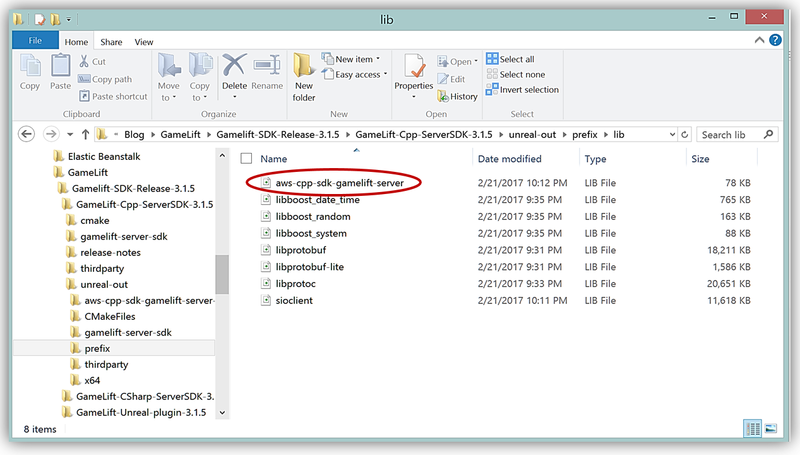 Review the Amazon GameLift SDK documentation, Using the C# Server SDK for Unity, in order to learn more about setting up and using the Amazon GameLift C# Server SDK plugin. We reviewed just one of the new aspects added of the Amazon GameLift managed service, but the service provides game developers and game studios with even more. Amazon GameLift enables the building of distributed games by making it easy to manage infrastructure, scale capacity, and match players into available game sessions while defending games from DDoS attacks. You can learn more about the Amazon GameLift service by reviewing the Amazon GameLift documentation, the Amazon GameLift developer guide and/or check out the Amazon GameLift tutorials on the Amazon GameDev tutorial page in order to hit the ground running with game development with Amazon GameLift service. 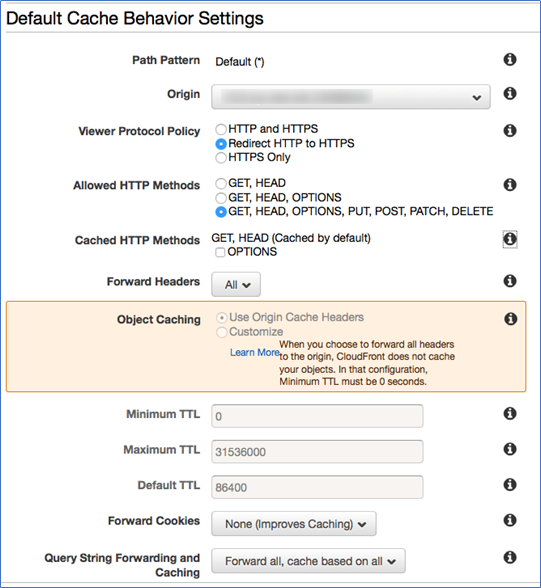 In this blog post, I show how you can help protect the zone apex (also known as the root domain) of your web application by using Route 53 to perform a secure redirect to your externally hosted content delivery network (CDN) distribution. 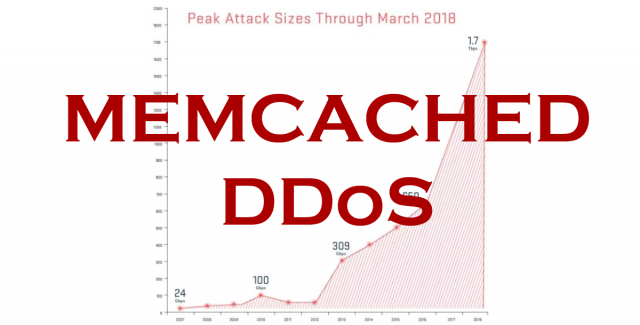 In online gaming, distributed denial of service (DDoS) attacks target a game’s network layer, flooding servers with requests until performance degrades considerably. These attacks can limit a game’s availability to players and limit the player experience for those who can connect. 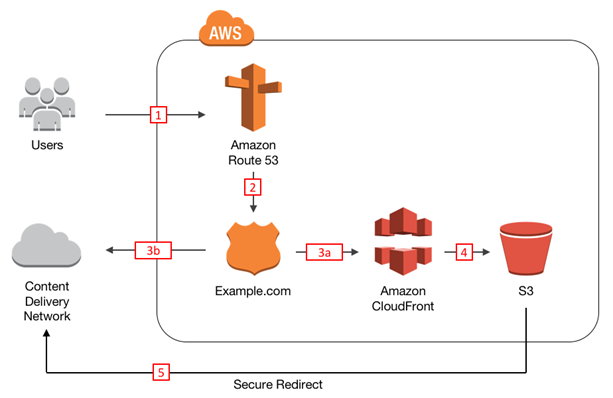 Today’s new Amazon GameDev Blog post uses a typical game server architecture to highlight DDoS attack vulnerabilities and discusses how to stay protected by using built-in AWS Cloud security, AWS security best practices, and the security features of Amazon GameLift. Read the post to learn more. The following 10 posts published since the blog’s inception in April 2013 were the most viewed AWS Security Blog posts in 2016. Let us know in the comments section below if there is a specific security or compliance topic you would like us to cover on the Security Blog in 2017.